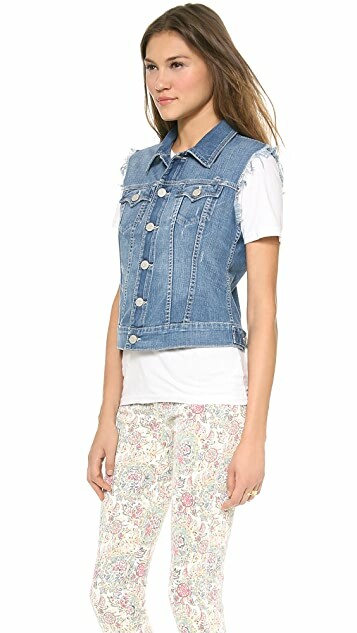 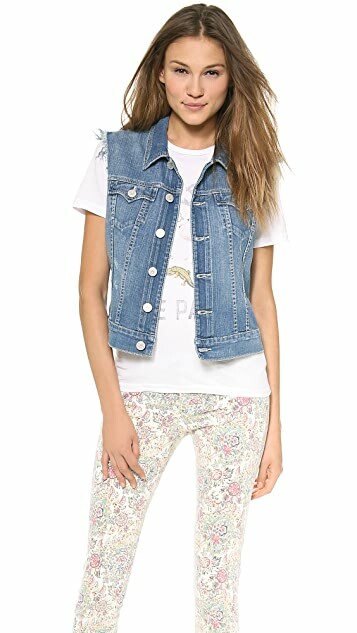 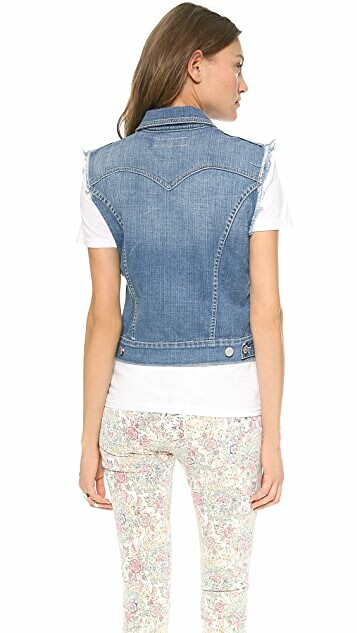 Frayed arm openings and distressed edges give a worn-in feel to this punk-inspired True Religion vest. 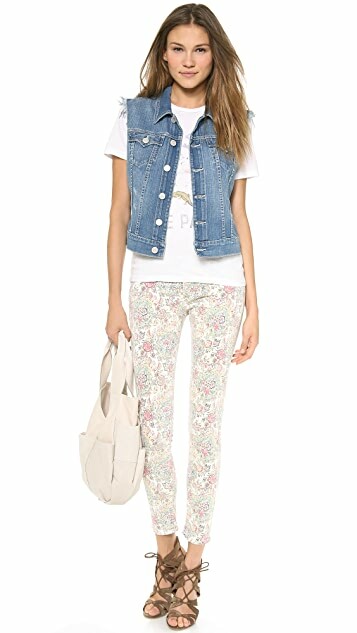 Fading completes the well-travelled look. 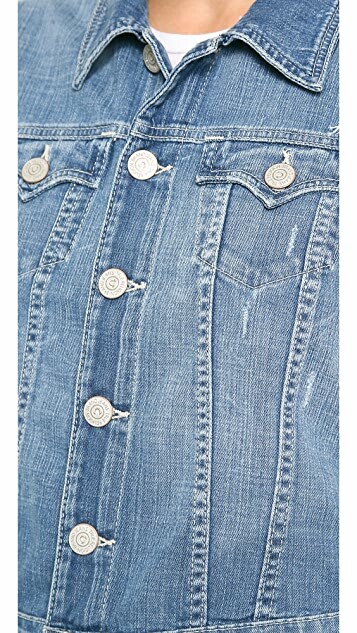 Buttoned closure and 2 pockets.